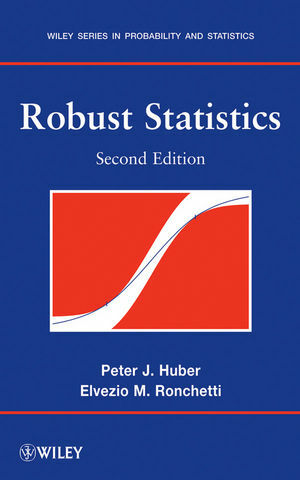 Over twenty-five years after the publication of its predecessor, Robust Statistics, Second Edition continues to provide an authoritative and systematic treatment of the topic. This new edition has been thoroughly updated and expanded to reflect the latest advances in the field while also outlining the established theory and applications for building a solid foundation in robust statistics for both the theoretical and the applied statistician. An expanded treatment of robust regression and pseudo-values is also featured, and concepts, rather than mathematical completeness, are stressed in every discussion. Selected numerical algorithms for computing robust estimates and convergence proofs are provided throughout the book, along with quantitative robustness information for a variety of estimates. A General Remarks section appears at the beginning of each chapter and provides readers with ample motivation for working with the presented methods and techniques. Robust Statistics, Second Edition is an ideal book for graduate-level courses on the topic. It also serves as a valuable reference for researchers and practitioners who wish to study the statistical research associated with robust statistics. Peter J. Huber, PhD, has over thirty-five years of academic experience and has previously served as professor of statistics at ETH Zurich (Switzerland), Harvard University, Massachusetts Institute of Technology, and the University of Bayreuth (Germany). An established authority in the field of robust statistics, Dr. Huber is the author or coauthor of four books and more than seventy journal articles in the areas of statistics and data analysis. Elvezio M. Ronchetti, PhD, is Professor of Statistics in the Department of Econometrics at the University of Geneva in Switzerland. Dr. Ronchetti is a Fellow of the American Statistical Association and coauthor of Robust Statistics: The Approach Based on Influence Functions, also published by Wiley. Provides a solid foundation of robust statistics for both the theoretical and the applied statistician. Includes four new chapters on robust tests, small sample asymptotics, breakdown point, and Bayesian Statistics. The first edition was written by Peter J. Huber who is viewed as one of the leading developers of robust statistics and as on of the sharpest innovators in the statistics profession. Quantitative robustness information for a variety of estimates is contained within tables throughout.